Saturday 9th, 2PM: Regeneration One Panel – the full team, the full post-mortem, the full-monty (well, maybe not the last bit). Saturday 9th, 4PM: The Return of Death’s Head – a bit of woffle on everyone’s favourite former Transformers co-star and Freelance Peacekeeping Agent with me and Nick Roche. He’s back, yes? Sunday 10th, 11AM: Signing at the Urban Species dealer table – where I’ll be signing the first of my Transformers Signature Range T-shirts. Whoo-hoo! All weekend: I’ll be around and about and at my table to chat, sign and sell stuff, including the unlikely to be repeated (as this is all the copies of the comic I could physically get my grubby little hands on) Transformers: Regeneration One #100 script and comic pack! Hope to see you there. For more details and tickets, etc, check out the AA website here. 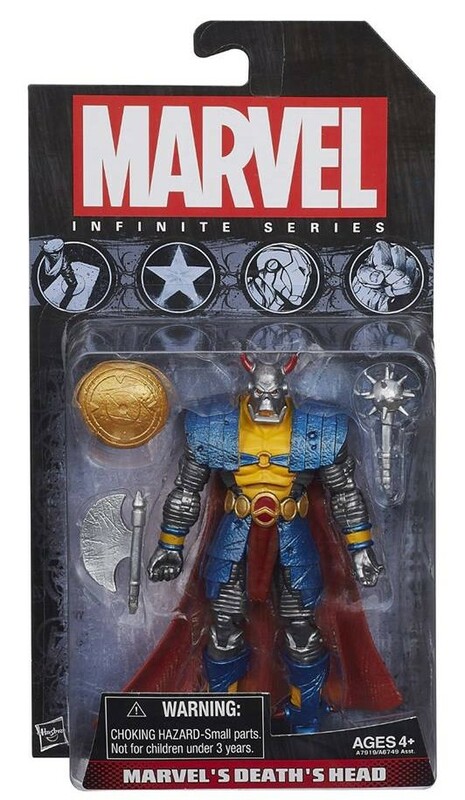 Just want to give a shout out to the fact that his official Marvel Infinite Series action figure is now available to buy. May even be some kicking around at Auto Assembly. Just one week to go to Europe and the UK’s biggest Transformers convention, Auto Assembly (August 8th-10th). Details for the weekend are now firming up, and the Regeneration One panel is scheduled for the Saturday at 2.30pm, with the Urban Species signing on the Sunday at 11am (at the Urban Species booth), this latter event is a bit of an exclusive, as I’ll be (re-) signing the first wave of Simon Furman signature T-shirts (see previous post for image) to roll off the presses (or loom?). And of course, I’ll be around all weekend over at my table, with plenty of other yummy goodies. Full details of Auto Assembly (location, tickets, etc) can be found here. You are currently browsing the simon furman blog archives for August, 2014.